What is there to say about Graham Kendrick that hasn't been said before? Of course we all know him as the Grandfather of modern Christian music. But in all honesty without what Graham and other worship leaders were doing in the 70's and 80's, then who knows where we would be right now. Many artists have name-checked Graham as being influential in their own recording careers, which is why so many top artists appear on this new album titled 'Worship Duets'. Read More What is there to say about Graham Kendrick that hasn't been said before? Of course we all know him as the Grandfather of modern Christian music. But in all honesty without what Graham and other worship leaders were doing in the 70's and 80's, then who knows where we would be right now. Leading up to the album release Graham says, "I've always been a bit of a bridge. Often they were the only contemporary songs that churches sang. They were like a bridge from the old into the new. Perhaps I’m still a bridge, but a bridge back into the hymns." The album opens up with a collaboration with Matt Redman on the track 'Hymn Of The Ages'. This is a brilliant upbeat worship song to start the album. I love the chorus of "To you belong the praises, to you belong the hymn of the ages". The more I listen to this song the more I enjoy it. Hearing two of the greatest worship leaders to come out of the UK singing together on this track is wonderful. Up next we have the distinctive voice of Paul Baloche on the track 'He Is Risen', and again this song is similar in style and feel to the opening track. The vocals are superb with both singers hitting the low notes of the verses amazingly, then singing out with such meaning during the chorus. Martin Smith (Delirious) appears on the track 'Praise My Soul The King of Heaven'. The song starts off very simple with just Graham and a piano. Then in the chorus Martin's distinctive voice blasts out the powerful uplifting chorus of "Praise Him, Praise Him, Praise Him, Praise him ohh my soul, Praise the king of heaven". A brilliant song that sounds amazing with these two great worshippers singing together. Hearing the track Servant King brings back memories of my family playing this track a lot during my youth. The song starts with some atmospheric sounds with the lyrics sung by Graham so beautifully. Then the song takes on a slightly more driven feel with the vocals of The Rend Collective kicking in. Both vocalists together make a wonderful sound of worship. A brilliant version of this classic track. Saving Grace is an atmospheric piano lead song featuring Michael W Smith. This song flows beautifully with its hushed worship sound. Again the harmonies of both vocalists together sound like they have fused as one with ease and style. Listen to the latter part of the song to hear it take on a new lease of life. The album has so many great moments it's hard to write about them all. Oh What A Love has some lovely sounding guitar sounds and What You Started is a stunning track that has some wonderfully chosen chords that you don't expect to hear in such an intimate piece of music. This is classic Kendrick at his best, but with a very modern feel to it. Bringing in other well known worship leaders to sing with on this album adds some real excitement to the songs, creating unique textures to the music. For me this is some of Graham's best work to date. People who enjoy hearing Graham lead worship will love worshipping to this album. 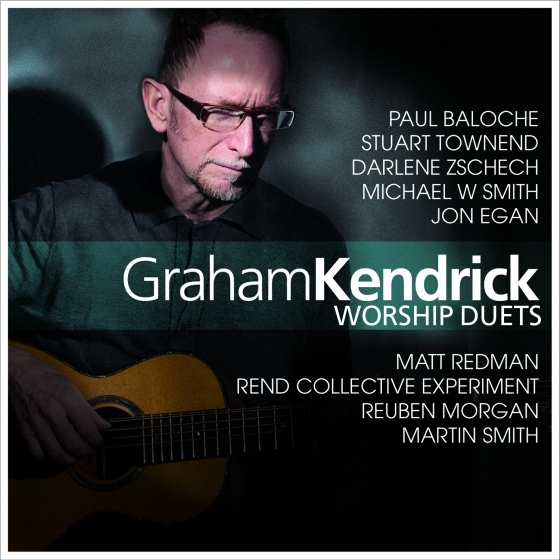 If you're looking for poetic lyrics and solid worship music then please check this album out by the great worship leader that is Graham Kendrick.